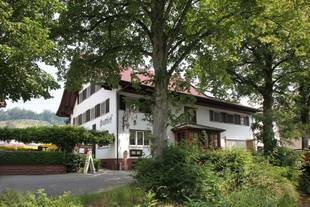 We welcome you to the Rossle country inn, in romantic Reichenbach near Gengenbach in the Kinzig Valley ! With no through traffic, you can enjoy your holiday in idyllic pastoral surroundings with meadows, vineyards and woods. The location of the town is especially good for excursions to nearby Alsace, Switzerland and of course to places of interest in the Black Forest region.